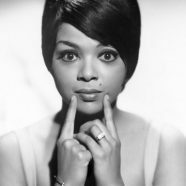 1970 – Motown superstar Tammi Terrell dies. Terrell became a star singing as alongside Marvin Gaye to run off a string of four major hits, including “Ain’t No Mountain High Enough.” During a performance at Hampden-Sydney College in Virginia in October 1967, Terrell collapsed into Gaye’s arms. She was diagnosed with a malignant brain tumor and died two and a half years later. Following her death, Gaye stopped performing for more than three years.